This duel of the ages requires only the finest of backup. It must be those so versed in the Batverse that they could take these crooks on themselves. They don't need cheap parlour tricks to conceal their identities either - we've got 'em - it's Adam the Creator and Darth Laric of The Dark Knight Minute podcast! 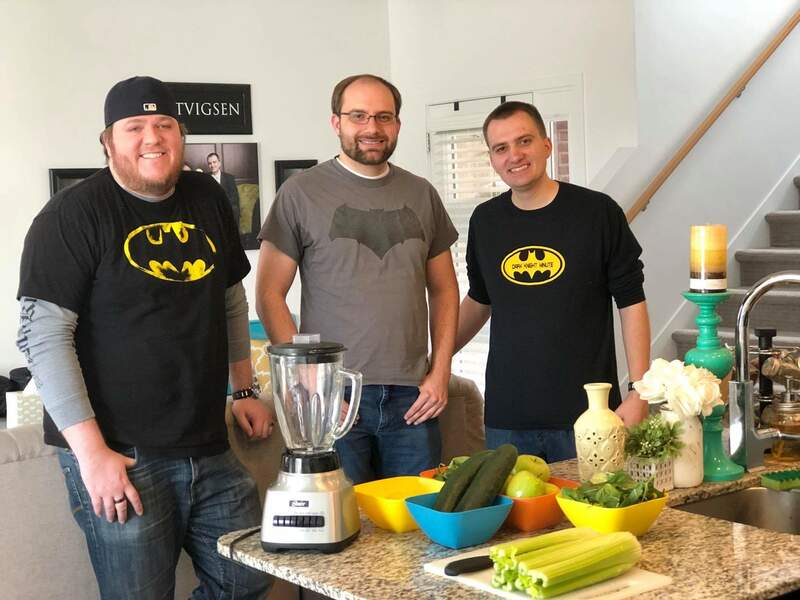 These guys have learned to do what is necessary and they show us all that there is nothing to fear in podcasting but fear itself. That and psychopharmacology. Adam The Creator, Darth Laric... and... one, two... three? Who is this mysterious third person in the photo? Tune in Friday to find out, Bat fans!